Are church leaders aligning themselves with Allah? Has anyone noticed how hundreds of professing Christian leaders are compromising their faith by uniting with Muslims? Could it be that we are witnessing the formation of the prophesied one world religion under Antichrist? 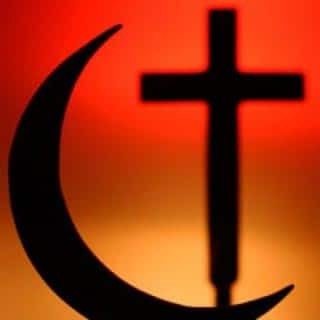 (Revelation 13:1-18) For example, Brian McLaren, a prominent Emerging Church leader, announced plans to celebrate the Islamic holiday, Ramadan, commemorating Muhammed’s reception of the Quran. On the fourth of July, when most Americans were celebrating the birth of our nation, Rick Warren, “America’s Pastor”, addressed the Islamic Society of North America; which, the Department of Justice categorized two years ago as a co-conspirator in financing a foreign terrorist group! Even more chilling is the fact that over 300 prominent Christian leaders signed a letter issued by the Yale Center for Faith and Culture claiming that world peace is dependent on Muslims and Christians recognizing “Allah” and “Yahweh” as the same God. This letter, titled “Loving God and Neighbor Together,” was written in response to a signed document by 138 Muslim leaders titled “A Common Word Between Us and You.” McLaren, Warren, Robert Schuller and Bill Hybels were just several of the signatories to this outright betrayal of Christ! Furthermore, both of these documents affirmed Muhammed as a “Prophet” of God and declared that world peace was dependant on mutual affirmation of the “unity” of God. Dr. William Lane Craig, a leading Christian apologist and philosopher, correctly stated that by signing this document, Rick Warren and others were, in effect, signing up to become Muslims! This is because an affirmation of Allah as God is a denial of the Triune God revealed in Holy Scripture. Moreover, the Quran denies that Jesus is the Son of God no less than nine times. Could it be that this “Common Word” document is part of a master deception? Islamic scholars teach that Muslims may engage in “taqiyya,” which holds that Muslims may lie to unbelievers to defeat them. After all, the Quran states that “Allah is the best of schemers” (Quran 3:54), and Muhammad used deception when he signed a 10-year treaty with the Meccans while preparing for their defeat just two years later, executing many who had given him their misguided trust (Quran 9:3). Where Did the Emergent Church Emerge From?